Amaya purchased PokerStars and Full Tilt for a staggering $4.9 billion in June of 2014, and ever since the Canadian-based parent company has focused on taking its newly acquired online networks back to the United States. Those grandstanding obstructions are soon going to be bypassed according to Amaya executives who articulated this week that its premiere poker room will arrive in the US in the coming months. New Jersey has been deliberating PokerStars’ application to offer Internet poker since the online giant reached a partnership with Atlantic City’s Resorts Casino in 2013. Governor Christie has been accused for the delay, but he says it’s totally in the hands of the state’s Division of Gaming Enforcement. 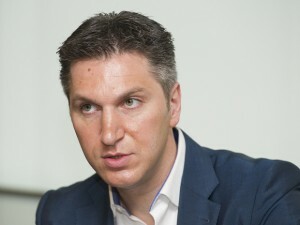 Amaya CEO David Baazov has stated on multiple occasions that he believes PokerStars would enter the Garden State before October. With just two weeks left in September, the clock is winding down on his prediction. Baazov is also bullish on California, the country’s most populated state. After lawmakers in Sacramento introduced several pieces of legislation to legalize iPoker this year, the 34-year-old Amaya boss is optimistic that the Golden State will pass a bill when the legislature reconvenes in January. Amaya and PokerStars joined Californians for Responsible iPoker to spread awareness across the state during the summer, routinely sending its roster of pros including Daniel Negreanu, Vanessa Selbst and Chris Moneymaker to venues for meet and greets and online poker presentations. As Amaya awaits approval in New Jersey and keeps tabs on California, the company has actually already infiltrated all but five states through its new daily fantasy sports (DFS) platform StarsDraft. Along with CBS’ SportsLine and Yahoo’s Daily Fantasy, Amaya has ventured into DFS to take on market leaders FanDuel and DraftKings in what is quickly becoming a multibillion-dollar industry. While sports betting remains illegal in all but Nevada, DFS has been categorized as a game of skill making it a permitted activity everywhere except Arizona, Iowa, Montana and Washington, five states that have specific regulations against winning cash prizes online. Amaya isn’t the only entity excited about the impending US entry of PokerStars. The world’s largest Internet card room should bring with it a renewed interest in New Jersey, and hopefully additional players. iPoker in Nevada and Delaware is struggling to stay afloat, even after the two states reached a deal to share player pools. Though Assemblyman Mike Gatto (D-District 43) had a “bad actor” clause in his original proposition, his leading bill also stipulates that California could opt into interstate and even international player pools. If some version of Gatto’s bill is passed in 2016, that could completely change the game of online poker in the United States.